Find your perfect entry into Industry 4.0/Industrial Internet of Things—tailored to your learning level and your course requirements. 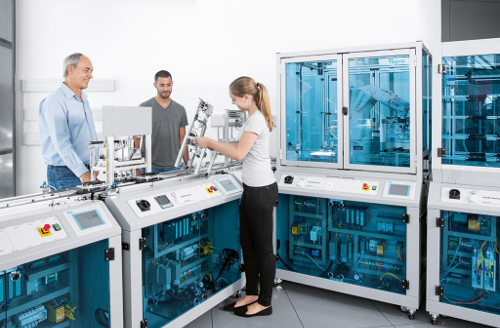 For standardized training content, the modular mechatronic production system, MPS® 203 I4.0, advances to the cyber-physical learning laboratory CP Lab and then to the smart universal training factory, CP Factory for Industry 4.0/the Industrial Internet of Things (IIoT). Expand your existing systems to the next equipment level at any time.